Disclosure: I am an affiliate of Simply Earth. Any opinions are my own. 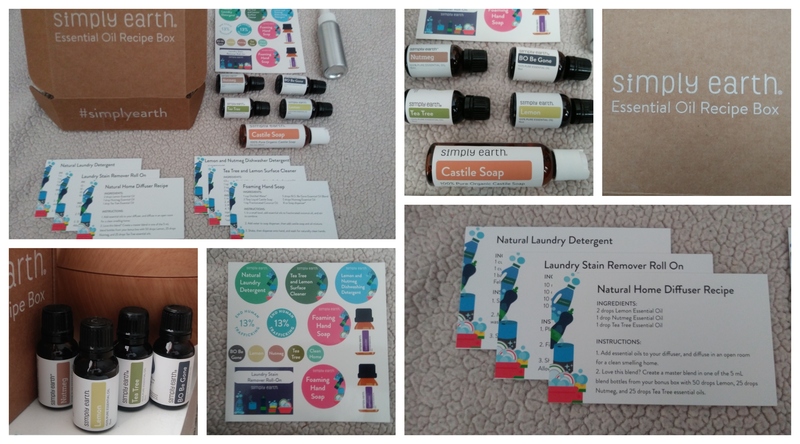 I hope you had chance to enter our March Simply Earth Giveaway! It was a great box for Wellness featuring recipes for a sleep spray, bath soak, body butter and more. It sold out fast! This month is all about Home Care, with recipes for a Lemon and Nutmeg Dishwasher Detergent, Natural Laundry Detergent, Laundry Stain Remover Roll On, Foaming Hand Soap, Tea Tree Lemon Surface Cleaner, and a Natural Home Diffuser Recipe. 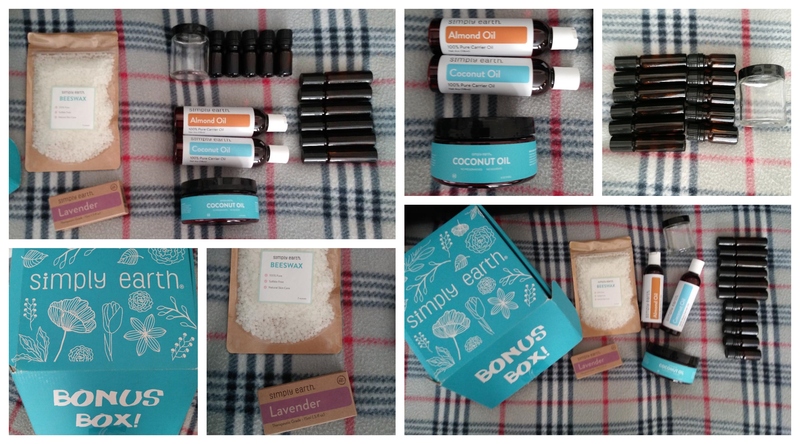 Visit: simplyearth.com, press "Get Started" then "Get Your April Box Today", choose your subscription and enter promo code: MAMMANATTYFREE in the promo code box to receive a massive bonus box (see below) with your first subscription and a $20 gift code to use on a future month! In the monthly box, subscribers receive 4 new essential oils with fun recipes and everything you need to make them. Sometimes, recipes will call for items listed in the bonus box which should last through a six month monthly subscription. 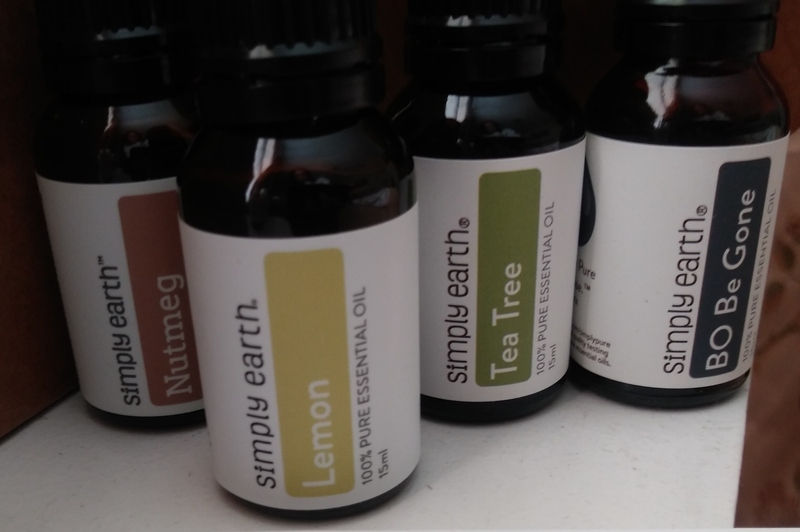 Simply Earth is a great way to learn about essential oils and their many benefits while building your essential oil collection. Keep In Mind -- Keep in mind you can cancel your subscription any time and reactivate it at your convenience, so you are never "locked in". If you decide to try them out, please let me know what you think. I would love to hear from you! Nutmeg Oil - A spicy and woodsy scent, it blends well with the other oils in this box to create a natural clean scent. Lemon Oil - This oil comes from the fruit peel of the lemon. It's aroma is calming and uplifting and it is a great natural cleaner. Tea Tree Oil - Tea Tree is a powerful cleaner and respiratory supporter, and a must have for your home. BO Be Gone Oil - This blend is a mix of patchouli, ylang ylang, sandalwood, lavender, and sweet orange to naturally reduce odor. Also included in this box is an aluminium mist spray bottle and castile soap for the recipes. Additional Items you will need to purchase separately include: Borax, Washing Soda, Fels-Naptha Bar Soap, Epsom Salt and a Pump Soap Dispenser. Use Coupon Code: MAMMANATTYFREE to receive a bonus box and $20 Electronic Gift Card. 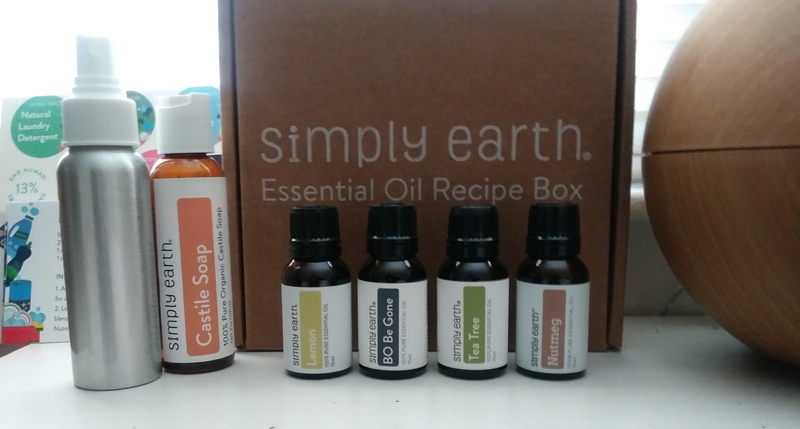 You can also buy oils, blends and accessories directly from Simply Earth with your $20 credit. Visit: simplyearth.com, press "Get Started" then "Get Your April Box Today"
1. The Simply Earth team creates the perfect recipes for you and a natural home. 3. We all have fun learning and making essential oil recipes. Everything is provided in the box to make the recipes, including oils, recipe cards, containers, and labels. Anything not provided in your monthly subscription box will be pulled from the big bonus box you receive with your initial subscription. Sometimes items will need to be purchased separately. It is such a fun experience and a great gift idea! Visit: simplyearth.com to learn more and get started today. If you are a new subscriber, be sure to use my code to receive the massive bonus box and $20 gift card with your first month. Support a Cause: When you shop with Simply Earth, 13% of their profits go to help fight human trafficking. They highlight a different organization each month. For the month of April they are partnering with Disrupting Traffick.